The Interactive Golf R Movie. This is a great use of interactive technology, and user engagement. VW has launched a new site to promote the new Golf R that allows visitors to create their own movie featuring the new car. The premise is pretty simple. You make car noises, and the site builds a video based on them from a series of prerecorded clips. Working with Michael Winslow the man of 10,000 sound effects, the trailer is pretty compelling. The YouTube video directs you to the site where you can create your own experience and then share it through all of the standard social media channels and at http://rrr.vw.com as well. It’s a pretty fun concept, and watching the peoples expressions as they make the car sounds is a riot. Posted in Advertising, Technology and tagged Advertising, Digital Marketing, Golf, Golf R, Interactive Marketing, Interactive Video, Michael Winslow, Technology, Volkswagen, VW on July 22, 2015 by Author. Bob Dylan’s “Like a Rolling Stone” Goes Interactive. How do you take a song that is almost 50 years old and breath new life into it? You create a compelling interactive experience that creates an entirely new way to experience it. Bob Dylan’s “Like a Rolling Stone” is just that. The interactive video can be found here, and if you install the dedicated app, you can get the full experience. Produced by New York based VFX studio The Artery in conjunction with Israeli director Vania Heymann, the interactive video comprises the look of 16 interactive TV channels. It’s absolutely brilliant, and about a million times better than Dylan’s latest album release. This is actually quite addictive once you get into it. Posted in iPad Apps, Music and such and tagged Android App, Bob Dylan, Interactive Design, Interactive Video, iPad App, Like a Rolling Stone, The Artery on November 30, 2013 by Author. This is a pretty interesting idea from Esquire magazine. It’s not perfect but it does show a good attempt at interactive video on the iPad. Since this is version one, of this app it’ll be interesting to see how it pans out as Esquire develops more content, and as the data base of questions grows. Developed in conjunction with Volio, the “Talk to Esquire” app uses voice recognition to deliver what feels like realtime video, but is probably pre-recorded. The software analyzes your questions and then delivers the most appropriate response. The demo video is pretty dry with Esquires editor in chief showing off the app, but it’s worth watching because the potential of where this could go is pretty huge. Posted in iPad Apps, Technology and tagged Digital Publishing, Esquire, Interactive Magazine, Interactive Video, iOS, iPad, Magazines, Publishing, Video, Volio on March 25, 2013 by Author. Nike and the House of Innovation. About 9 months ago, Nike started an interactive campaign at Selfridges in London introducing a new line of products. Nike’s “House of Innovation” included a whole host of interactive installations that push the boundaries of shopping and merchandising products. The first video is of a recent window display that repurposes some of the content from the in-store displays. The others show the original interactive spaces and integrated content. It’s pretty cool stuff that was developed by Amsterdam agency …,staat. One of my favorite things about this is it’s not all digital, but a combination of physical and digital elements that blend together so well. Other content was produced by ATYP Limited, NikeUK, and Fiction Department. Posted in Advertising, Innovation, Motion Graphics, Technology and tagged ATYP Limited, …, Fiction Department, House of Innovation, Interactive Video, Interactive Window Display, London, Motion Graphics, Nike, NikeUK, Selfridges, staat, Visual Merchandising on February 28, 2013 by Author. “Not the Same” Approach to Music Videos. Since MTV and VH1 really don’t show music videos anymore, it’s nice to see bands breaking out of the music video mold and doing something new. 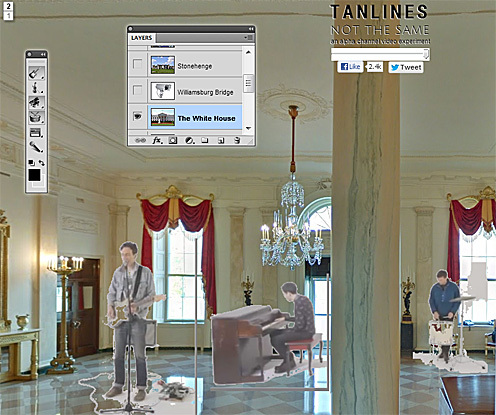 Recently OKFocus was asked to build an interactive music video site for “Not the Same”, by the band Tanlines. The site looks sort of like the Photoshop interface, with layers and a toolbar pallets that let move and resize band members plus choose from a selection of backgrounds that include still images, webcam feeds, and low res video animations. There is even a hook to Social image giant Instagram that allows you to load images tagged #notthesame. It’s a pretty fun site, and definitely a very cool way to do a music video. Posted in Animation, Music, Technology and tagged Chrome, Google Chrome, HTML 5, Interactive Video, Music Video, Not the Same, OKFocus, Photoshop, Tanlines on February 20, 2013 by Author. To promote their new fragrance, Hugo Boss has launched a new series of videos on YouTube called “HUGO Just Different”. This specific interactive experience is basically one film, with three variations. The film, entitled “KINO”, plays on the idea of seeing things differently, and lets users control the it via simple head movements which are picked up via their webcam. Using the sites realtime head-tracking technology, each movement seamlessly integrates rich new layers of color or motion into the film. 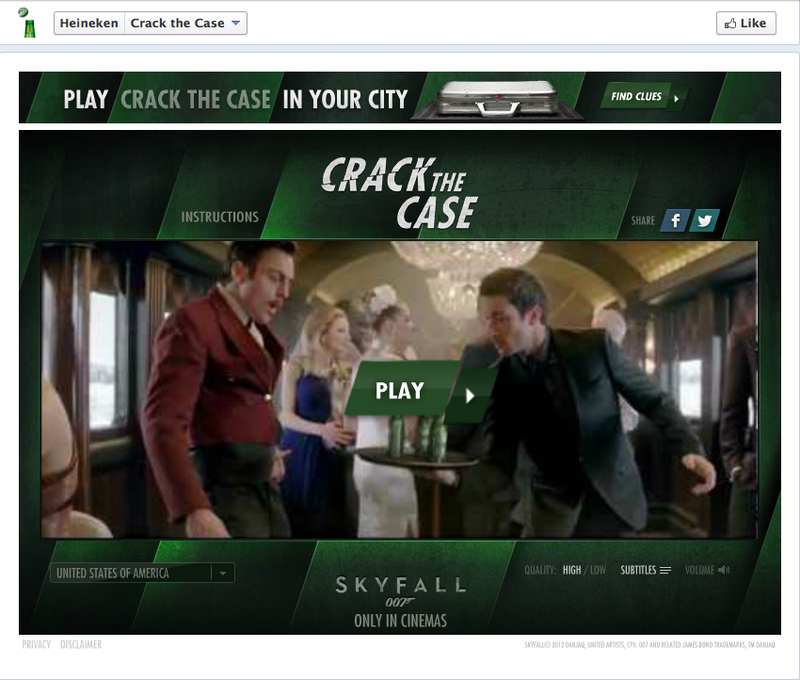 You can shift between the movie, story or theatrical versions of the black and white film at will. It’s an interesting concept, and while it might not be the most direct way to promote a new product, it certainly is memorable which is a plus for the Hugo Boss brand. Posted in Advertising, Motion Graphics, Postaday 2011, Video and Motion Graphics and tagged head-tracking technology, HUGO, Hugo Boss, Interactive Video, KINO, postaday 2011, postaday2011 on July 24, 2011 by Author.